The UNION PACIFIC HISTORICAL SOCIETY is the custodian of a large number of mechanical drawings produced by the UNION PACIFIC RAILROAD Co. and affiliates over the period 1880 to 1980. Of these drawings, over 50,000 have been scanned. Before these images become useful, it is necessary each image be examined and the data on the face of the drawing cataloged in a database. The cataloging work has produced a database with over 30,000 image entries. The persons doing this work have become familiar with the drawings and have developed substantial insight into the organization and content of the body of the drawings. This has led to the realization the history of the UPRR is clearly imprinted on the whole of these drawings and much can be learned from studies of the organization and content. E.H. Harriman and associates purchased the bankrupt UNION PACIFIC RAILWAY at auction in the late 1890’s. What followed was a period of legal activity allowing Harriman to control the assets of the bankrupt U.P. Ry. After the settlement of the bankruptcy litigation, Harriman bought the SOUTHERN PACIFIC Co. This occurred shortly after 1900 when the ASSOCIATED LINES were formed, from the UP, SP, and other railroads, under the control of Harriman. Harriman’s plans for the railroads incorporated Harriman’s belief that, if the railroads used common designs for equipment and materials, great savings could be realized in procurement costs. This idea flowed from the use of “Common Standards” by the SP, beginning in the late 1890’s, to improve the operation the SP. In this way, “Harriman Common Standards” were born. A severe blow to Harriman’s Plans was the Court ordered 1913 divestment of the SP by the ASSOCIATED LINES. The divestment order resulted from the loss of a federal Anti-trust suit. The Federal suit charged that operation of the SP and UP under common management was anti-competitive. By the time of the legal defeat, ten years of joint operation of the SP and UP allowed the glue holding the railroads together to become quite hard. However, the separation of the two railroads, required by the resulting divestiture plan, began in 1913. The separation of the unified operation of the joined railroads should be evident in the drawing data and so it is. One of the first things noticed during cataloging was the diversity of the railroad entities that produced the drawings, ie, the names of the producing railroads. The names range from ‘no name is shown’ to the expected “Union Pacific Railroad Co.” In all, eleven different names, one of which, “Common Standard”, is found without embellishment as to who actually produced these drawings. This series of drawings, named “Common Standard”, abruptly ends in 1913. A new drawing series named “Union Pacific System” starts thereafter and extends to 1936, whereupon the series named “Union Pacific Railroad Co.” begins. Five drawings were selected from the above three series of drawings as being representative of the “glue chipping” noted above. Each of the five drawings is related to the others by drawing numbers and forward as well as back drawing references. This information forms the connecting thread of history for the five drawings. The date of the oldest of the five drawings is 8/22/1907 and the date of the last revision is 5/15/1913. The date of this particular drawing is over five years prior to the 1913 approval date of the dissolution plan. It represents one of the drawing formats used for common standard drawings of the Associated Lines prior to the separation of the railroads. There is nothing on this drawing to identify which railroad shop produced it. This drawing is a “COMMON STANDARD” drawing, as seen in the title block area. Only two things on the drawing relate to the separation of the railroads, the line through the words “COMMON STANDARD” and the 1913 date of the last revision. The lining out of “COMMON STANDARD” is the first, most expedient, way to mark the separation of the railroads. However, some similar drawings are not lined out. Perhaps events over took the lining-out process before it could be completed. 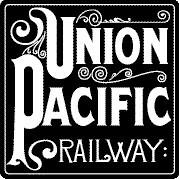 In 1913, a new drawing series was begun, “UNION PACIFIC SYSTEM”. The drawing numbers started at 20,000 and it is assumed this was done to provide a distinct separation from the series “COMMON STANDARD”. However, drawings from the series “COMMON STANDARD”, that were carried forward into the series “UNION PACIFIC SYSTEM”, in most cases, retained the old number and were usually re-indentified as “UNION PACIFIC SYSTEM” drawings. The Union Pacific System ended in 1928 so as to eliminate the costs associated with leasing the separate railroads which comprised “THE SYSTEM”. Many drawings issued prior to 1928 are seen to have “obsolete x/x/1928” written on the face of the drawing and these are presumed to reflect the end of “THE SYSTEM”. The present-day Union Pacific Railroad Co. came into being Jan. 1, 1936 and, from the time forward, the title blocks on the drawings are very much uninteresting. These “modern” drawings have a format that reflects the needs for standardization of all things of modern corporations; they all look alike for the most part. It will be observed the contents of each of the five drawings below are quite different. Therein lies an interesting part of the history of the railroad wheel. That will addressed in a future post entitled: “What the hell keeps the trains on the tracks?”. Tags: UPRR HISTORY STORIES UPRR MECHANICAL DRAWINGS WHAT MAKES A R.R. WHEEL A R.R. WHEEL?